PowerColor has been in the market of producing graphics cards since 1997 and has always brought innovation and creativity to the table with exciting designs year-in, year-out. Today is no exception; we have in our midst a rather special product. 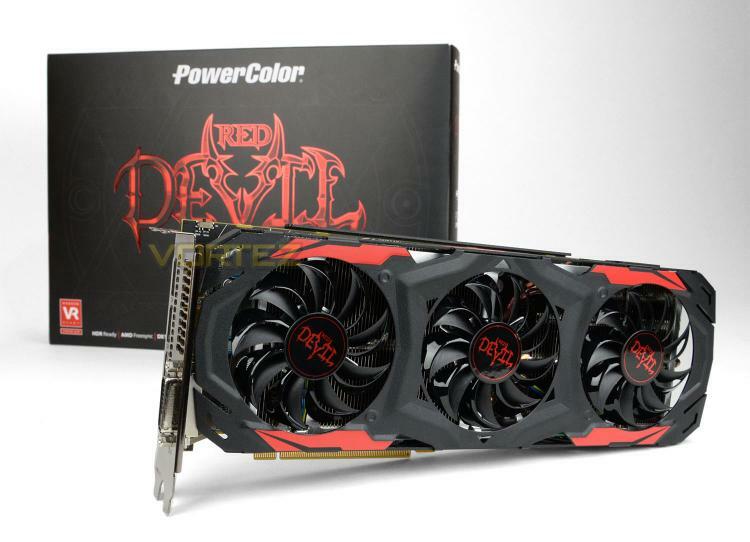 The DEVIL series has been a permanent and successful fixture for PowerColor, representing the very finest in what a graphics card can offer. For those with a decidedly dark side, the RED DEVIL RX 480 seeks to appease the inner demon – boasting a custom design with triple fan configuration and two-mode factory overclock; providing gamers with a silent choice or outright performance. Is this the best Radeon RX 480 money can buy? Let’s find out! With its restless desire to rule the universe without seeing any light; Devil 13, the ruler of the underworld, created a new Devil to rise from the underworld and master all creatures. Red Devil as he was named , known to be the only Devil besides his creator to master all elements of the Hexagon. Controlling Fire, Lightning, Air, Magic Energy, Dark Soul, and Mirage, its presence was feared by all corners of the new world. Ever since, no one dared to challenge Devil's true gaming empire.